Since it’s inception a few years ago, crypto currencies are starting to move into the main stream with several retailers starting to accept it. Many banks have also been evaluating the potential of this alternative ‘currency’. This being said, this is still a very new area and many people still do not understand what these are. The most popular of them are Bit Coin. 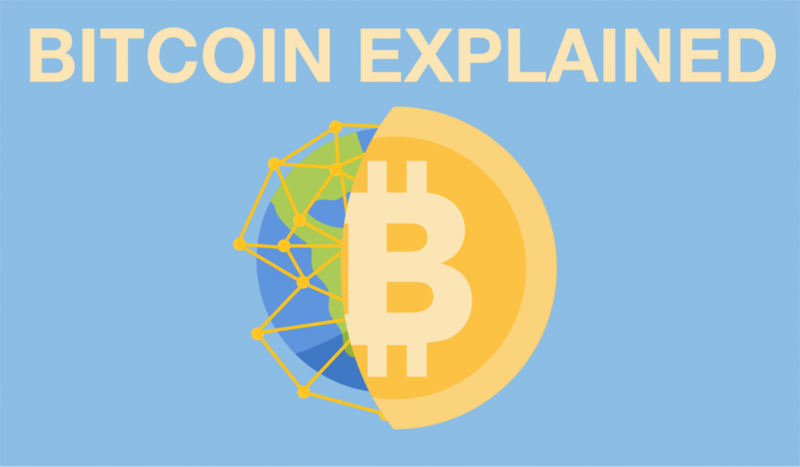 This video aims to explain what Bit Coins are, and how they operate. Bitcoin is the first and the most successful cryptocurrency. It was created by an individual only known as Satoshi Nakamoto. His aim was to create a completely decentralised virtual currency, meaning Bitcoin generates new units of currency, verifies transfers of money and prevents double spending without a central authority, such as a bank. This leads to a cheaper, faster and more efficient system of money. Bitcoin is built on a peer to peer networking system, which is comprised of users that use the currency. In order to keep track of which users spent money and how much money is left in everyone’s account without a central authority, some users voluntarily maintain a public online ledger, referred to as a ‘block chain’. A block is the record of transactions that occurred within a given time frame, for Bitcoin that’s 10 minutes. Chain these together and you have the entire transaction history of Bitcoin, the block chain. Countless users are keeping track of transactions, lengthening the block chain every ten minutes. Users come to a distributed consensus using the block chain technology, allowing the currency to operate without a central authority. However, how can users trust the block chain is valid and authentic? What is stopping someone keeping track of the block chain to include fake transactions for their own financial gains? Bitcoin uses ‘proof of work’ algorithms that computers must solve before contributing to the distributed consensus. These are basically puzzles that require the computer to perform stupendously large numbers of calculations. Acting as a sort of computational effort paywall before users can contribute to the block chain. Since there are so many users trying to solve the algorithms, if someone were to try and influence the consensus, the individual must perform more proof of work computations than the rest of the network combined. This is called a 51% attack and is increasingly harder to accomplish as the number of users increase. The users who keep track of the block chain are incentivised and rewarded with the chance of earning Bitcoins that are newly generated or recycled from transaction fees. That’s why these users are also referred to as miners, akin to gold miners who swing their pick axe in the hopes of striking gold. Miners keep track of transactions through the block chain and the block chain allows the currency to operate without a central authority. But, you don’t have to mine to use Bitcoin. Anyone can use Bitcoin by downloading a piece of software called a digital wallet. When you create a wallet, a pair of cryptographic keys are made. One is a public key which is an address, it acts like a bank account number, allowing others to send money to your wallet. The other is a private key which is needed to prove ownership of the digital wallet and is used as a digital signature to validate the transaction of coins, allowing only you to spend Bitcoins from your wallet. What are the advantages of Bitcoin? Why are people using it? Bitcoin has many advantages over traditional currency. The first is that Bitcoins are encryption protected and therefore cannot be counterfeited. Fraudulent transactions are prevented as transactions cannot be reversed or stopped in anyway. The central authority and layer of bureaucracy will be eliminated, streamlining the exchange of money. Transaction fees are also a fraction of what banks charge. Additionally, without a centralised system, you will have more control over your money, it is not owned by the bank, and it cannot be frozen or seized. Also, anyone with an internet device can receive and send Bitcoins. This means Bitcoin can be used internationally, not limited by any borders or governments. More importantly, it gives billions of people control over their own money and access to international financial markets who were previously limited to entrusting money to banks and governments. Even though Bitcoin is growing exponentially, there are still limitations to its use. Bitcoin is not yet accepted by a lot of businesses or institutions as payment. Also, the application of Bitcoin may be slowed by lack of public awareness and scepticism from the masses. We would also add that although the technology Bitcoin and other cryptocurrencies use is renowned for its security, there have been several hacking incidents where users lost their money. However, this has always been a risk since the days of internet banking and have mostly been the result of human error. Some, such as writer and Bitcoin expert, Andreas Antonopoulos, predicts that the Bitcoin system can revolutionise the future of our technological world. Imagine self-driving cars autonomously collecting money from your pocket to then purchase another car, expanding its market share. Bitcoin introduces a unified, transparent and flexible system of money that can help allocate resources in the most efficient way possible. Bitcoin holds a lot of promise and potential. It is the first system of money that is completely decentralised, completely borderless, and non-political. It is potentially the first store of value for the people. That is controlled by the people and ultimately maintained by the people. If you liked this video then please share, Like us on Facebook and Subscribe to our channel.